Lancaster Bomber. "Jake" occupied the mid upper turret. The night of June 12/13, 1943 over the coast of the Netherlands was clear and calm with a trace of the moon visible, and a young 22 year old mid upper gunner was the only man to escape his burning and crippled aircraft after being attacked by a German night fighter. The Lancaster bomber crashed in flames at Kamperzeeddijk and very close to the village of Grafhorst and it is here in the General Cemetery where six of the crew now rest. John “Jake” C. Cornish was born in Brucefield – Usborne Township – County of Huron – Ontario. In November of 1941 he travelled to Hamilton and enlisted into the Royal Canadian Air Force. Following his training in the Commonwealth Air Training Plan at various bases in Canada he went overseas in February of 1943. Following his arrival in Great Britain “Jake” was posted to No. 27 Australian Operational Training Unit based at Litchfield – Staffordshire and it was here they were assembled into crews. 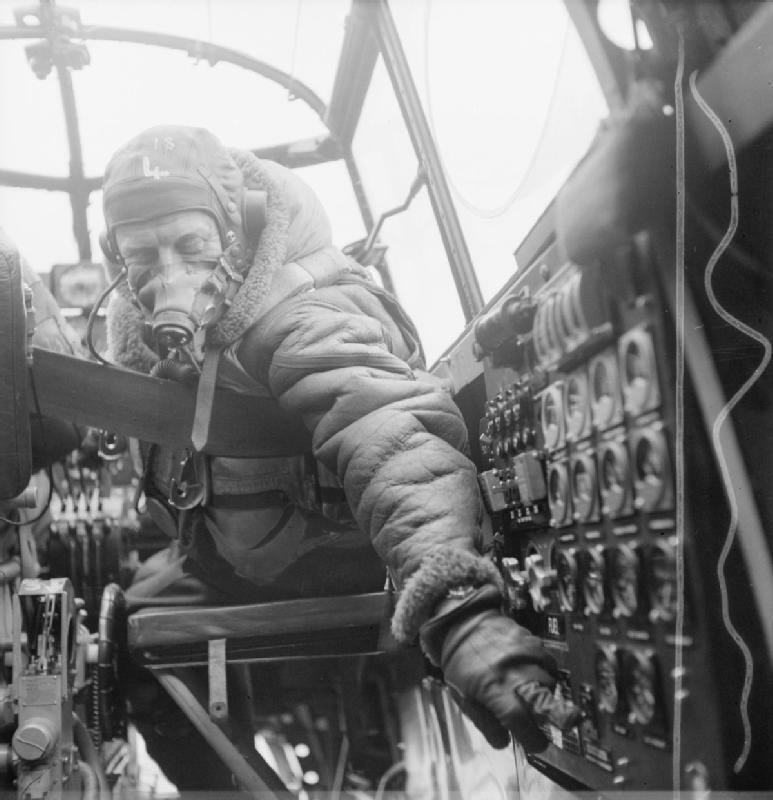 This unit had been formed in 1941 as part of Group 6 Bomber Command to train flight crews in night bombing using the Vickers Wellington bomber. “Jake” was the only Canadian crew member. Following their training at Litchfield they moved on to No. 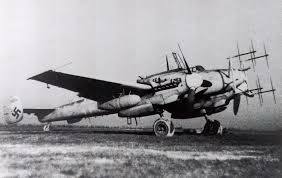 1662 Heavy Conversion Unit based at Blyton – Lincolnshire and it was here they trained for night bombing on four engine bombers. The mission for the night of June 12/13, 1943 was to bomb the German city of Bochum which was in the heavily industrialized Ruhr Valley. The city had arms manufacturing factories, steel factories and there were also coal mines in the area. 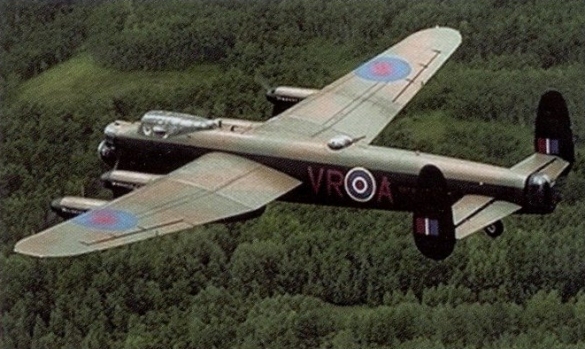 At 23:10 hours of Saturday June 12, 1943 Lancaster bomber W4316 – “Q” for Queenie lifted off the runway at Binbrook and began her journey to Bochum some 500 miles distant. This was the third mission for the crew. At 01:23 hours on Sunday June 13, 1943 “Queenie” was over the Zuiderzee and coming up on the coast some 6 miles from Ijsselmuiden and 8 miles from Grafhorst. Suddenly, “Queenie” was ripped from explosions, the belly had been ripped open by cannon shells, “Queenie” was burning and losing altitude. The last words the crew heard was the pilot giving the order for the crew to bail out. “Queenie” was dying and beginning her death spiral toward the ground. “Queenie” crashed into the Ganzendiep River at Grafhorst. 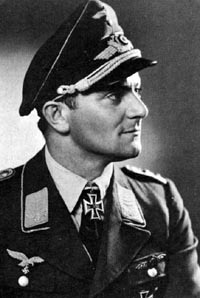 Hauptmann (Flight Lieutenant) Rudolph Sigmund was with Luftwaffe 1 Nachtjaeger Gruppe based at Deelen in the Netherlands and he was pursuing Allied bombers on their way to target in his Messerschmitt Bf 110 G4 equipped with radar. He had intercepted “Queenie” at an altitude of 17,717 feet flying at 286 mph when he began his attack. The Bf 110 G4 was armed with 2 – 20 mm cannons 4 – 7.92 mm machine guns. A crew member in the rear had either 1 – 7.92 mm machine gun or 1 – twin barrel 7.92 mm machine gun for defence. He made one attack. “Queenie” was the 17th aircraft that Hauptmann Sigmund had shot down. Before he was killed three months later from “friendly fire” he had shot down 28 aircraft. “Jake” then left his mid upper gun position and moved toward the rear of “Queenie” and went to open the door for the tail gunner but he had already been blown out of the aircraft. He then put his parachute on, opened the hatch door, went through the flames and fell out into the night sky. As he fell the parachute only partially opened and at the same time the tail of “Queenie” hit “Jake” in the back and he blacked out from lack of oxygen and from the tail hitting him. He was fortunate to wake up at about 10,000 feet, the parachute was not deployed fully, he was falling rapidly and “Jake” had to cut the intercom cord away before his parachute fully deployed. Suddenly, the ground appeared and he made a very hard landing on his rump in a cow flop and he was aware of Holstein cows looking at him. He tried to walk and was unable to, so he crawled to a farm house where the father and his two sons took him inside. “Jake” recalls seeing 14 pairs of wooden shoes in the hallway of the farmhouse. Within the hour a doctor from the area was tending to him. They tended to his wounds and bathed his eyes. “Jake” had lost a toe and he had been wounded in the other leg as well. They gave him soup and a cigarette. “Jake’ gave the farmer his escape money and photo. When he awoke on the morning of Sunday June 13th he could not see as his eyes were burned and swollen. To save the family from being shot for hiding an enemy airman both “Jake” and the family knew he had to be handed over to the Germans. This took place and he was then taken to the Queen Wilhelmina Hospital in Amsterdam where he stayed for a month. The family that cared for him was the Holtland family and their farm was located near Kamperzeedijk and Grafhorst. “Jake”was a prisoner of war at two camps Stalag Luft VI located at Heydekrug – Memelland and this camp was the northermost prisoner of war camp in the German Reich. Stalag Luft IV the second camp was located at Gross Tychow in Poland.. He was known as prisoner 304. He was at Stalag Luft VI for a year until June of 1944. They then moved to Stalag Luft IV until February 6, 1945. At this time what became known as the “black march” began toward the west, ahead of the westward moving Russian front. They marched for 450 miles until they came to the Allied front. They were put into another account for a week and began another march of 150 miles. On May 2, 1945 they were “Liberated” by the Royal Dragoon Guards of Scotland. On May 8, 1945 “Jake” was in England and in July 1945 was back home in Canada. Following the war, “Jake” kept in touch with the Holtland family and received a pair of wooden shoes from them but as time passed they lost contact with one another. As the 40th anniversary of VE day drew close in 1985 the Holtland children decided to renew their search for “Jake” and bring him back to the Netherlands for a reunion. They once again made contact with one another and in May of 1985 “Jake” was once again in Holland along with his wife and his scrapbook. They participated in celebrations and ceremonies, he visited his fellow crew members at the General Cemetery and placed flowers in Honour and Remembrance. He finally had the opportunity to say good bye to his crew mates. “Jake” was 64 years of age. “Jake” owed his life to the Holtland family. They risked their lives when they took in a young Canadian airman in 1943. When he was in Holland he thought it was just going to be a visit with the Holtland family but the people had different ideas. When he arrived in the Grafhorst area he was looking forward to seeing this family once again, but the people there put him in a convertible car and they started to drive. The people from the area were all there and they made a point of coming to see one of their liberators of many years ago. They took him to the very field where he landed in 1943 and suddenly the sound of parachutes was heard and when he looked up there were men in parachutes. When they landed and unhooked their parachutes they walked up to “Jake” and saluted him and then presented him with the harness of his parachute from 1943. But that was not all. He was taken into town and shown the parachute that he used when he bailed out of “Queenie”. He was told that when a young woman of the area was married part of his parachute was sewn into the wedding dress of the bride. This has demonstrated to those of us at Huron Remembers the affection the citizens of the Netherlands have for their Canadian liberators. All these years later it is not known if any other crew member was able to bail out of “Queenie” or if they perished in the aircraft. We know the tail gunner was blown out of the aircraft and his body was found in the same field that “Jake” landed in. There is a Bomber Memorial located in Grafhorst in the Netherlands for a Mk 1 Lancaster W4316 from Royal Australian Air Force – No. 460 Squadron of Group 1 Bomber Command and nearby are the 6 crew members who died and they are resting in the General Cemetery at Grafhorst.